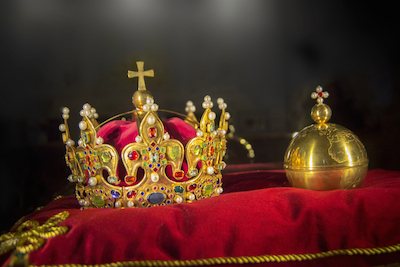 Last week, I wrote that for travel marketers, content is still the king. Well, that’s not just true for travel marketers. The simple fact is that we’re all publishers now and that your customers increasingly rely on the information they find on your website, blog, and social media channels while making purchase decisions. Research from Fleishman-Hillard shows customers value a variety of content during their shopping, including information from you. Creating useful content that solves customer needs both attracts potential customers and builds those trusted relationships. Even better, most of this content can work in a variety of formats, providing you more than just one outlet to attract those customers and start building those relationships. For instance, an interview with a customer or expert within your company can offer multiple uses, first featuring the interview as a video or podcast, then using a transcription or excerpts from the interview for blog posts, then crafting a presentation featuring the case study, and finally writing the case up as a whitepaper. You can change forms to target new audiences, and to extend the content’s reach and lifespan. Given all the changes in the ways your customers find, shop, and buy products and services, content marketing plays an even greater role in helping you connect with your customers. With few exceptions, you’ll want to look closely at the content you’re offering your customers, determine what’s working and isn’t—from your customer’s point of view—and expand in those areas best suited to help them make a decision. Otherwise, you risk losing your brand story in an increasingly crowded and cluttered content environment. So, yes, content is, was, and always shall be king. It’s time for you to attend to the king. And if you want learn even more about how your customers’ changing behavior shapes e-commerce and marketing, be sure and register to receive a special report I’ve produced in conjunction with hotel marketing firm Vizergy, “Digital Hotel Marketing in a Multiscreen World.” While it’s targeted specifically at hotel and resort marketers, the lessons apply to just about any business. You can get your free copy of the report here.